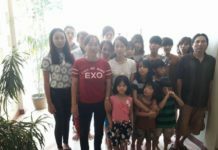 Vietnamese Australians and human rights activists have blasted the Abbott Government over a secret Navy-led mission to return a group of asylum seekers back to the Communist government of Vietnam. In a new milestone for the Coalition’s hard-line border policy, an Australian Navy ship was entering Vietnamese waters on Friday after what is believed to be a week-long journey to prevent boats reaching Australia. HMAS Choules was close to the the southern port city of Vung Tau, south of Ho Chi Minh City, Defence sources confirmed to Fairfax Media. The vessel was expected to hand over detainees to the Communist government some time after arriving late Friday or in the early hours of Saturday. The vessel is carrying asylum seekers intercepted by customs and navy vessels earlier this month, north of Australia, the West Australian newspaper reported on Friday. Immigration Minister Peter Dutton’s office said no comment would be made on “operational matters” but human rights activists lashed the Coalition for another on-water action cloaked in secrecy. Daniel Webb, director of the Human Rights Law Centre, said: “Australia should never return a refugee to persecution. All governments – whatever their policy position – should respect democracy and should respect the rule of law. 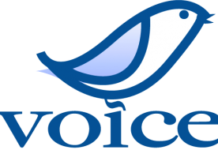 Continually operating behind a veil of secrecy is a deliberate subversion of both. It was the Human Rights Law Centre that took the government to the High Court after 157 Tamil asylum seekers were detained at sea for a month as the government tried and failed to convince the Indian government to take back the mainly Sri Lankan-born group. The High Court upheld the government’s right to detain asylum seekers at sea. David Manne, executive director of the Refugee and Immigration Legal Centre, said the government was clearly returning asylum-seekers without properly assessing their claims to protection. “Any moves by the Australian government to deport these people without a proper assessment of any protection claims they have would not only violate their rights but could well endanger their lives,” he said. “Claims for protection from persecution cannot be properly assessed under what we know is a perfunctory process conducted by Australian officials at sea. 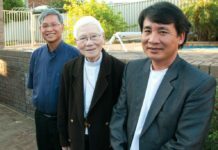 The Vietnamese community, many of whom arrived in Australia by boat after the fall of Saigon in 1975 as the Communist regime of Hanoi took control of the country, expressed horror at asylum seekers being handed back. Thang Ha, president of the Vietnamese Community in Australia, NSW Chapter, said the government should be aware it could be “throwing people back into hell”. He said returnees would likely be left alone initially but would be followed by party operatives and eventually harassed and likely jailed. “Human rights activists, democracy activists, Christians, Buddhists, artists and singers, they have all been harassed. Some people have been hunted down, their family members have been harassed. Some have been thrown in jail and never heard from again,” he said. A report published last year by the leading international group Human Rights Watch found that “the human rights situation in Vietnam deteriorated significantly in 2013, worsening a trend evident for several years”. It said that the year was marked by “a severe and intensifying crackdown on critics, including long prison terms for many peaceful activists whose ‘crime’ was calling for political change”. 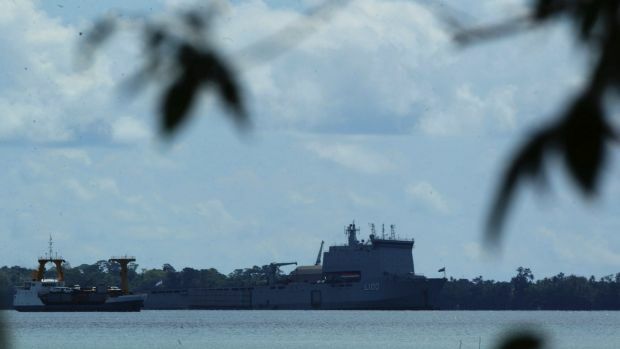 HMAS Choules was sent to Manus Island in 2012 to provide offshore accommodation and support to Defence members and government officials. It has been put on standby to accept injured people during riots inside the Manus detention centre. The ship has a daily running cost of $201,621, according 2012 Defence estimates. This means that a week-long voyage to return asylum seekers to Vietnam would cost at least $1.4 million – double if you include the return voyage.